RIT Capital Partners traces its origins back to the earlier Rothschild Investment Trust, which was originally associated with the family bank, N. M. Rothschild & Sons. Jacob Rothschild joined the bank in 1959 and played a significant role in developing its business. In 1971 he was appointed Chairman of Rothschild Investment Trust which had a value of £5 million. In 1980 he left the bank to concentrate on developing the business of Rothschild Investment Trust, which was subsequently renamed RIT. At that time RIT was a listed investment trust with net assets of some £80 million. RIT was subsequently built up through a combination of internal growth and acquisitions so that by the 1980’s it had become an investment holding company, J Rothschild Holdings plc with assets of about £650 million. As a result of its acquisition of a number of financial services businesses during this period, the company no longer qualified as an investment trust and in 1988, J Rothschild Holdings plc demerged into two entities – J Rothschild Assurance which was subsequently renamed St. James’s Place Capital plc and RIT Capital Partners plc. RIT Capital Partners plc was listed on the London Stock Exchange with net assets of £281m on 1 August 1988. 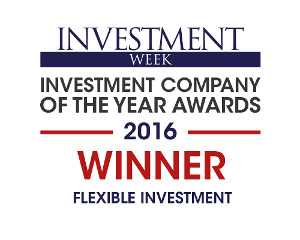 It is now one of the UK’s largest investment trusts, with a market capitalisation of around £3 billion. Lord Rothschild remains Chairman, he and his family are the largest shareholders with a holding of ~21%. RIT’s offices are located in Spencer House, a building of outstanding historic and architectural importance, located in the St. James’s area of London. RIT acquired a long leasehold interest in 1986 and subsequently carried out an extensive restoration. The House is available for prestigious functions and open to the public on Sundays and Monday mornings only for pre booked groups. Private group tours of the House can also be arranged by contacting the Tours Administrator.